Obama is set to campaign in CA and OH, two key states for Democrats this cycle. 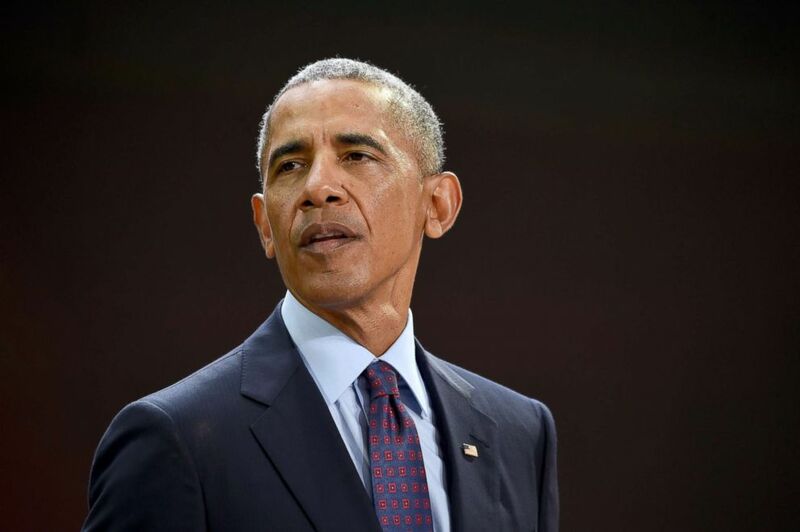 Former President Barack Obama is set to campaign in California and Ohio over the next week to boost candidates in key gubernatorial and House races for Democrats this cycle, one of his most direct and public forays into the political fray since the end of his presidency. The Democratic Congressional Campaign Committee (DCCC) announced Wednesday Obama will campaign in Orange County, California this Saturday for all seven Democratic House candidates running in GOP-held congressional districts that Hillary Clinton won in the 2016 presidential election, seats that are key to Democratic hopes of taking back control of the U.S. House this November. Democrats are especially keen on the four GOP-held seats that sit in the traditionally conservative haven of Orange County, including California's 39th and 49th Congressional Districts, where two longtime Republican congressmen, Ed Royce and Darrell Issa, are retiring this year. (Jamie McCarthy/Getty Images) President Barack Obama speaks at Goalkeepers 2017, at Jazz at Lincoln Center, Sept. 20, 2017, in New York City. "Democrats need all hands on deck to take back the House, and we could not be more honored to have President Barack Obama’s inspirational voice and unifying message on the campaign trail, with his first stop in Southern California," DCCC Chairman Rep. Ben Ray Luján of New Mexico, said in a statement released Wednesday. "The congressional candidates running in the Golden State are energizing voters every day with their records of service to their communities and personal messages about fighting for a safe and secure future, and there’s no one better to reinforce those intentions and goals than President Obama," he added. The event this weekend in Orange County will also include candidates running in northern California like venture capitalist Josh Harder and businessman T.J. Cox, whoa are vying for seats that Democrats believe are also in play this cycle. Previewing Obama's midterm messaging, former White House Communications Director and top aide to the former president Dan Pfeiffer said he is expected to lay out the stakes for the election and talk about "the role and responsibility that citizens have to take the fate of the country into their own hands." "He's one of the all-great campaigners, midterm elections are about turnout and firing up the base, and I think who's better to do that than Barack Obama?" Pfeiffer told ABC News Chief White House Correspondent Jonathan Karl ABC News Political Director Rick Klein on the Powerhouse Politics podcast Wednesday, "You will hear him lay out the stakes for the election in a pretty forthright way." Obama will also campaign in Cleveland next Thursday, September 13, for Ohio gubernatorial candidate Richard Cordray and his running mate, former congresswoman Betty Sutton. 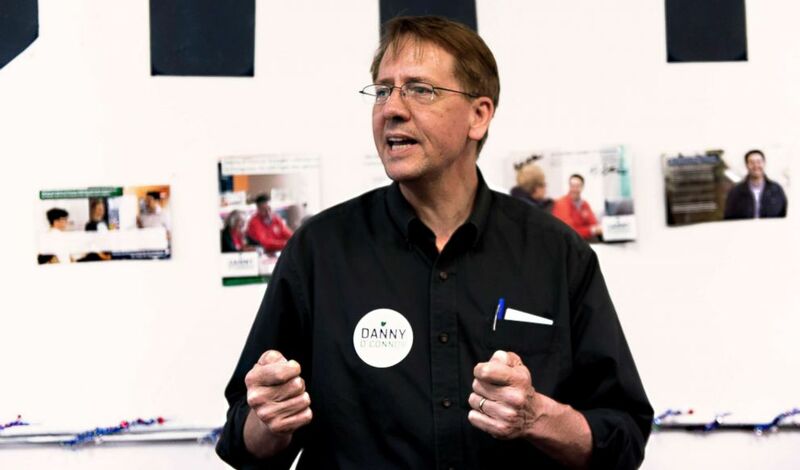 (Brian Cahn via ZUMA) Democratic candidate for Ohio governor, Richard Cordray speaks to supporters of Danny O'Connor, the Democratic candidate in the August 7 special election in Ohio's 12th Congressional District, Aug. 05, 2018, in Columbus, Ohio. Cordray, who served as the first Director of the Consumer Financial Protection Bureau (CFPB) under Obama, is facing Ohio's Republican attorney general, Mike DeWine, in a key gubernatorial pickup opportunity for Democrats this cycle. According to a release from Cordray's campaign sent out Wednesday morning the former president will "discuss what is at stake for Ohioans in 2018, highlighting the need for Ohio’s next governor to expand economic opportunity to more Ohioans and protect their families’ access to quality, affordable health care." Ohio Democratic Sen. Sherrod Brown, who is up for re-election this cycle and will face GOP Rep. Jim Renacci in November, will also join Obama, Cordray and Sutton next week, according to the release. 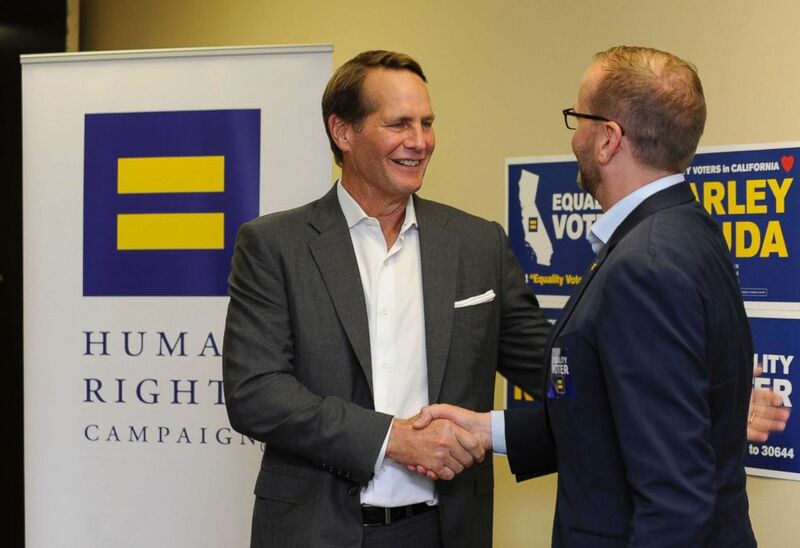 (Carlos Delgado/AP Images for Human Rights Campaign) Harley Rouda, left, accepts endorsement from Human Rights Campaign President Chad Griffin at an HRC endorsement and phone bank for candidate for Congress (CA-48) Harley Rouda, Aug. 3, 2018, in Huntington Beach, Calif. The announcement that Obama will hit the campaign trail comes roughly a month after the former president announced his first major wave of midterm candidate endorsements. But while that announcement came in a carefully choreographed tweet, Wednesday marks the first tangible glimpse into how Obama will be utilized by Democrats in what is already a chaotic midterm landscape. Since the beginning of Donald Trump's presidency, Obama has been cautious to wade too deeply into political battles, speaking out only in rare instances to defend policies like the Iran nuclear deal and to offer praise for anti-gun violence activists who held nationwide events and marches earlier this year. Prior to his campaign events, Obama will give a speech at the University of Illinois on Friday where he will "preview arguments he'll make this fall," according to Katie Hill, an Obama spokesperson. "He will echo his call to reject the rising strain of authoritarian politics and policies. And he will preview arguments he’ll make this fall, specifically that Americans must not fall victim to our own apathy by refusing to do the most fundamental thing demanded of us as citizens: vote," Hill said in a statement released last week.